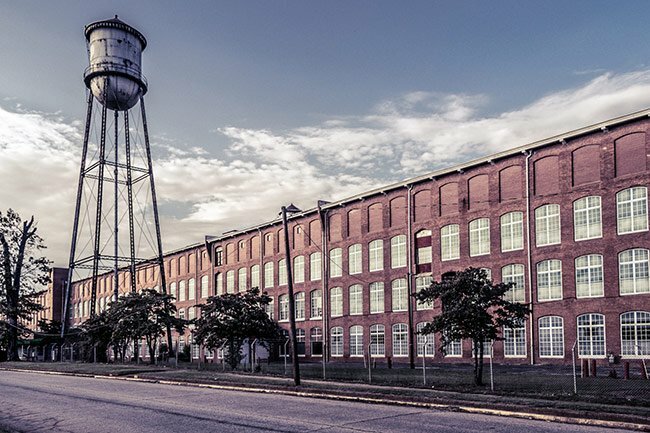 This historic building in the Woodside community of Greenville was once the largest textile mill under one roof – anywhere in the world! The manufacturing plant was built in 1902, founded by John T. Woodside and operated by Woodside and two of his brothers. Though not formally educated, Woodside had gained business experience while running a nearby mercantile, and he had gained textile experience while working a seven-year stint at Reedy River Mill (later renamed Conestee Mill). Following the establishment of Woodside Mill, the surrounding village was developed. Employee houses were ready the same year the mill was constructed. By 1912 the mill was operating with 112,000 spindles, making it the world’s largest single mill building at that time. The village grew as the mill’s business increased, and soon the Woodside Mill community included two churches, a school, a baseball field, a recreational building, a common garden, and a mill store that operated on the credit system, as did most mill stores. The postcard seen below is postmarked 1938 and depicts the mill during its operational days. The baseball field, seen below, was built in 1920. Textile league baseball was widely popular in mill towns, and Woodside Mill was no exception. The games provided recreation for mill employee players and fellowship and community pride for village residents. Textile league baseball waned in the 1950s, though remnants of the era – such as the field and dugout at Woodside – remain. Woodside and his brothers invested in other businesses in the early twentieth century, including more cotton mills, banks, and hotels – specifically, the Poinsett Hotel. However, the Woodsides lost Woodside Mill during the Great Depression. 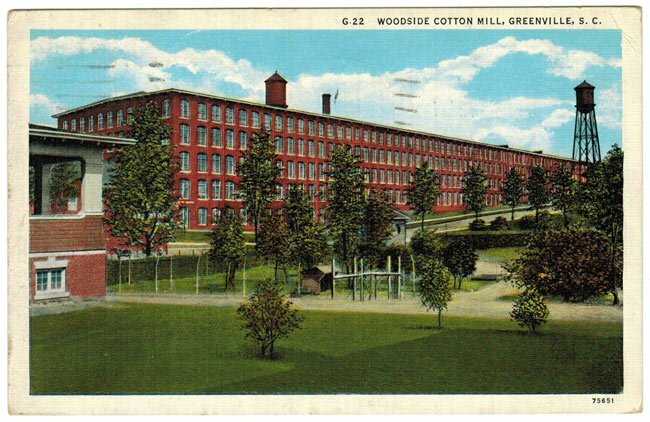 Another Greenville textile family, the Beatties, bought Woodside’s interest in the mill in 1936, and Dan River Mills of Virginia purchased the mill in 1956. Dan River Mills also purchased Clifton Mills near Spartanburg, among other South Carolina mills. Woodside was then sold to Alchem Chemical in 1984 and then to Eugene Stone Manufacturing in 1987. 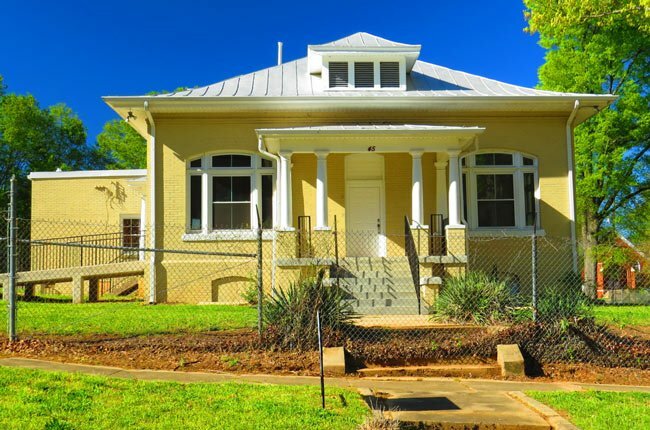 Now vacant, a plan to convert the former mill into housing never came to fruition, and the building’s current owner – Armando Delgado, who bought it in 2000 – plans to sell it for redevelopment. The waste house, seen above, was built in 1920. The three-story building sits behind the mill building and is the inly unattached mill building that was involved in production still standing. Today it stands vacate, like the mill itself. The building seen above was constructed in 1924 as the mill office and sits directly across from the mill. In 2015 the Greenville Revitalization Corporation purchased the office and is leasing it to Goodwill Industries for use as an at-risk youth center. Goodwill Industries is able to lease the building through a YouthBuild grant, which is awarded by the United States Department of Labor for skills-based education in construction and other occupational areas. Around 60 students ages 18 through 25 will learn construction at the former mill office. 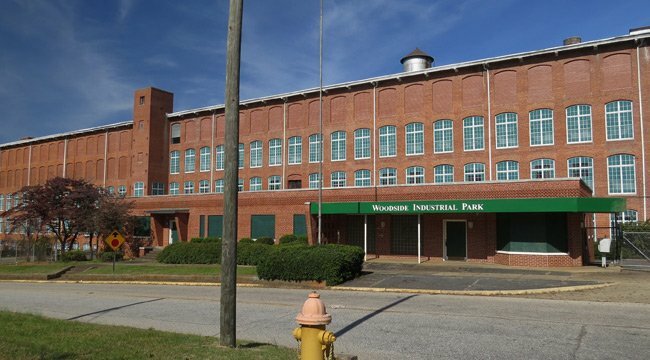 The Woodside Cotton Mill Village Historic District has industrial and architectural significance as a good example of an early twentieth century urban South Carolina textile mill village. 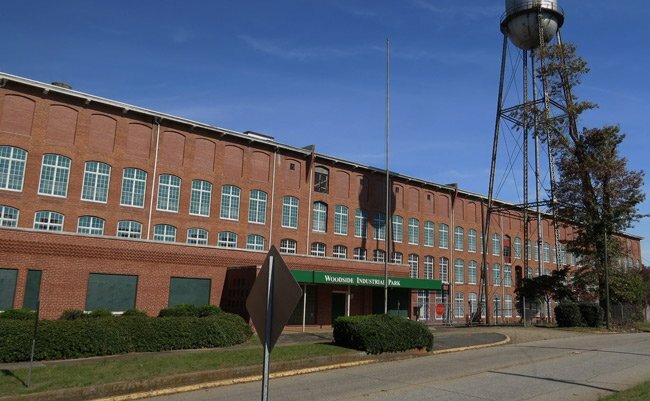 Centered around a mill founded by John T. Woodside in 1902, the district includes 375 buildings and sites (280 contributing and 95 non-contributing) just west of the city limits of Greenville. The village is largely intact over eighty years later despite modernizations made to individual buildings by a succession of mill and home owners. The spatial integrity of the village has been maintained. Mill and community exist in the same relationship as it has for more than eighty years – the massive cotton mill rises above a village of modest cottages built for the mill workers. Transportation arteries have also survived without major change. A historic garden/greenway provides an additional pleasing visual element. The mill is a rectangular plan, brick, four-story textile mill designed by J.E. Sirrine and built between 1902 and 1912. 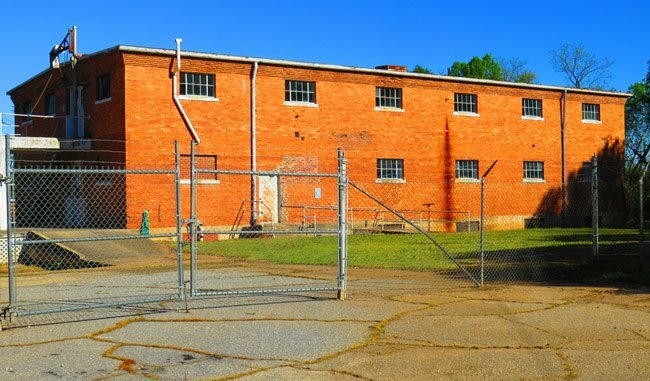 In addition to the cotton mill, the village contains 343 surviving mill houses, one cotton waste house, on mill office building, one recreation building, two churches, one baseball park, and one pasture/common garden area. The village is divided into four parts by man-made and natural features. Woodside Avenue, a broad, oak-lined street, forms the village’s central boulevard. The mill, the village churches, and some supervisory housing front along the avenue. The curving side streets in the village are lined with neat rows of mill houses and are also lined with large oaks. I am an original lint head. all of my people worked in cotton mills – Pacolet, Union, Jonesville, Liberty, Ottoray,and Greenville-Woodside, and worked in many positions in the plant, mostly carding, before entering the military, from which I retired in 1985, after 27 years. I have pictures. 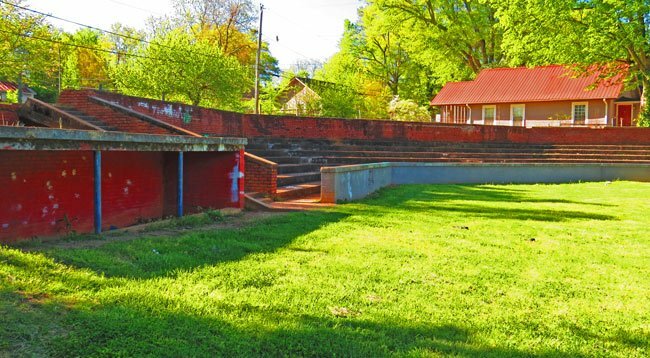 Why can’t someone make the baseball park at the mill in Greenville like the one in Simpsonville since it means so much to the people who live here, and it could be used for youth activities other than just Westside Park? Thank you, Donovan. A woman initially sent us the photos with personal information. We will get it corrected. Have a great day! the photos are of Monaghan Mill. I grew up on 7th St. two blocks down from Woodside Mill. Walked to Woodside Elementary up that big hill everyday! Miss those days!